"8 Ways To Get Rid of Sin"
Welcome to "8 Ways To Get Rid of Sin"
Did you know there are over 370 Sins? There are so many that I didn't even know was. But, here I have listed "8 Ways to Get Rid of Sin" yes, get rid of it, for good! God is good, and He knew all what we would do, in our lives and how. But, He has given us ways, to rid ourselves of the sins we commit. 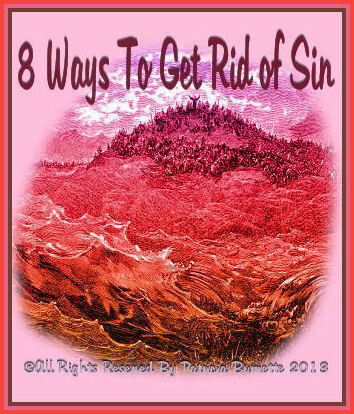 Check the "8 Ways To Get Rid of Sin" and there are scriptures for you to read to find out what it all says!